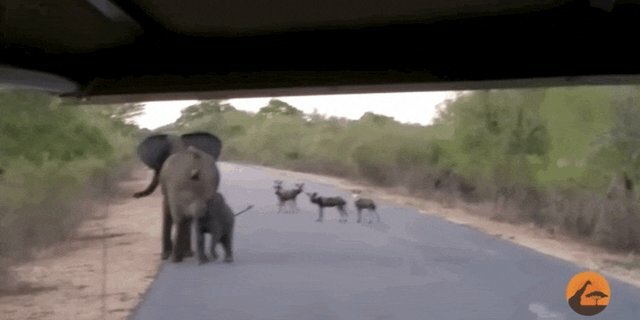 Mothers will always fiercely protect their children - and eventually, those children become old enough to help. 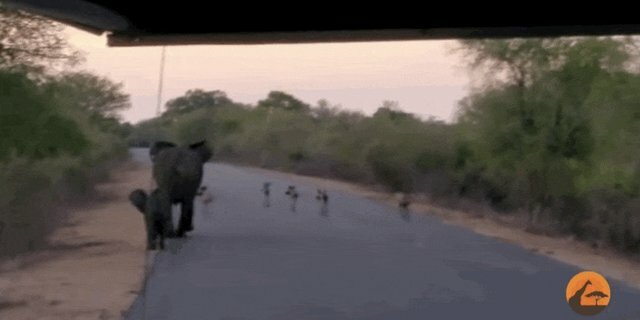 A mother elephant and her baby were trying to cross the road in Kruger National Park in South Africa when they encountered a pack of wild dogs in their path. 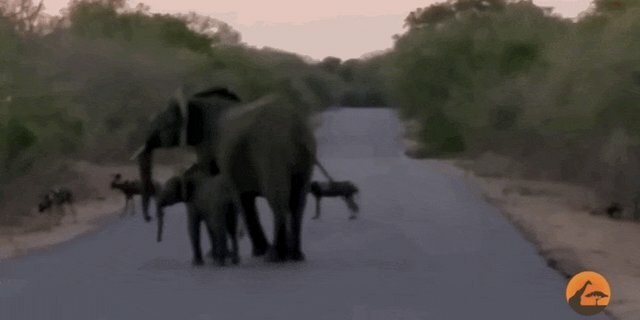 The mother elephant was not about to let anything happen to her baby and stepped up to protect her ... and her baby stepped up alongside her, ready to help her mom. ... and eventually, it worked. 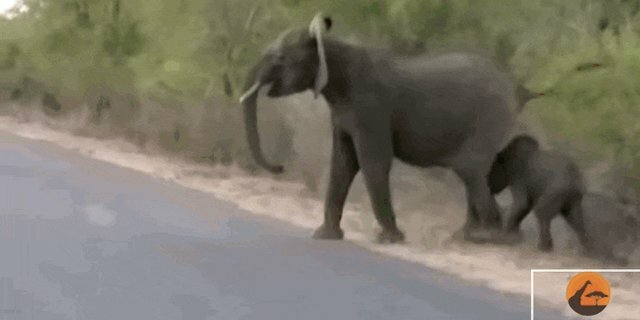 Never mess with a mom and her daughter ... especially when the daughter is just as much of a badass as her mom!